I am officially calling this hairstyle "the Teyonah Parris". Styled by the lovely, Felicia Leatherwood, Teyonah Parris donned a fabulous tuck and roll style up-do to the Screen Actors' Guild Awards recently. I just loved the hairstyle and had to give it a try on my hair. 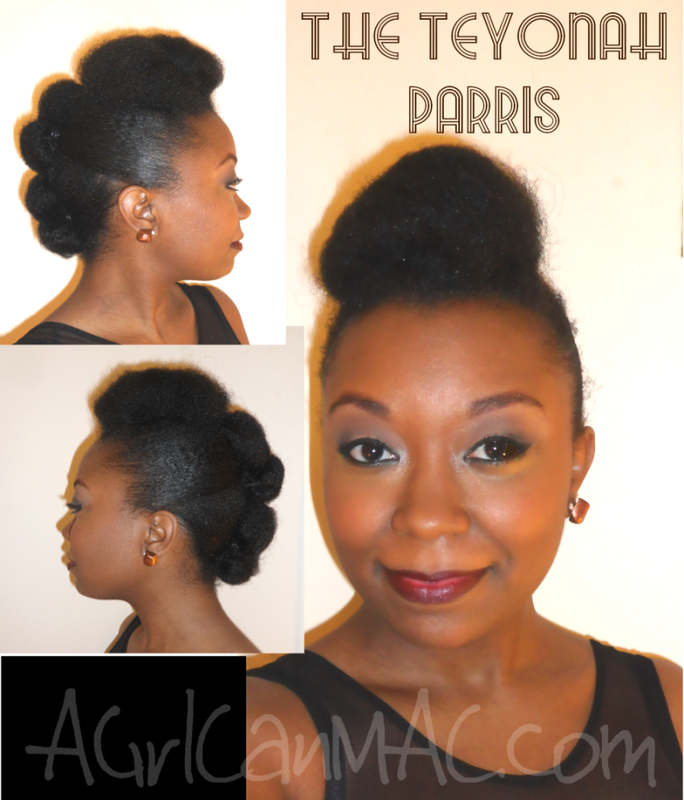 I did the style on old, stretched hair and followed the easy tutorial, MsVaughnTV has up. In the tutorial, she used Entwine products but you can use whatever moisturizer and stylers you have on hand. For moisture I applied Bee Mine Luscious Balanced Cream moisturizer and to smooth down my unruly edges I used Nubian Heritage Grow & Strengthen Edge Taming Taffy and a little of the olive oil Eco-Styler Gel on top for reinforcement. I plan to do this hairstyle again, for sure, and take my next time. I was in a rush to finish getting ready for a birthday party so it came out ok but if I moved a little slower, I would have made it look better. Not too shabby for my first try. I have my hair prepped to try this tomorrow! You totally got it mama! Beautiful.